Okay, here's our final pick for tonight's Shannons auction. You could end up with a lot of car for the money with this 300. Chrysler’s iconic 300 nameplate was born in 1955, when the brand unveiled the C-300 — a two-door hardtop coupe that aimed to combine luxury, and high performance with its powerful Hemi V8. Upon its release, the car was very well received, and was described as the fastest and most powerful car built in America, and has since been identified as the first true muscle car. 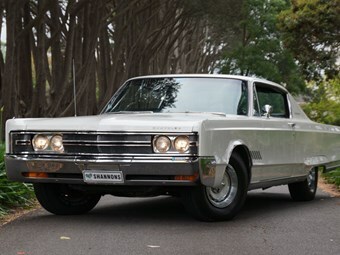 The 300 remained Chrysler’s flagship performance option all the way into the 1960s with a number of variants released over the years. The final model in the range was introduced in 1965 but underwent extensive restyling a few years later. In 1968, the 300 was given bold new frontal styling with a pronounced v-shaped grille, new rear wheel skirts and revised tail lamps and special badges and wheel trims. Vinyl bucket seats were as standard as well as a 70-amp battery, full carpeting and plenty of other interior decorations. The standard 300 drivetrain remained the 440-cid V8 with a four-barrel carburettor that was capable of 260kW; power was handled via a Torqueflite auto. For an extra $79, a 279kW ‘TNT’ motor with twin exhausts, revised air cleaner and a high performance camshaft was available. 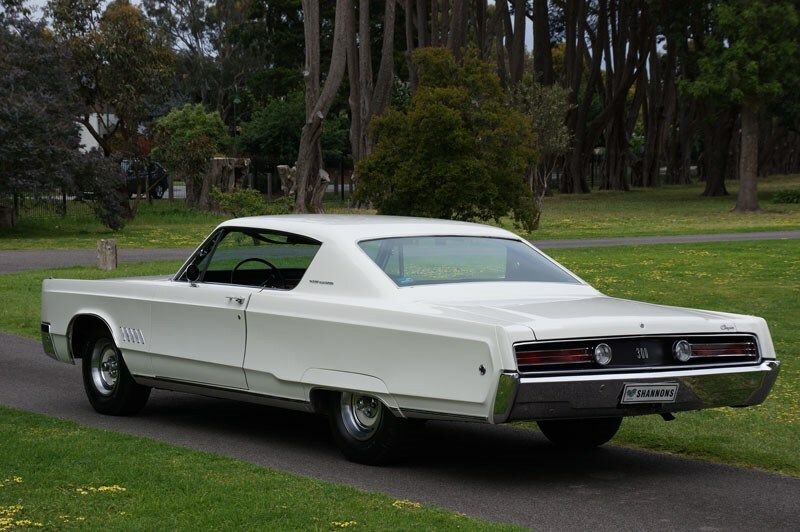 Regardless of the Chrysler 300’s comparatively high sticker price, the car remained a popular choice with American buyers in 1968. 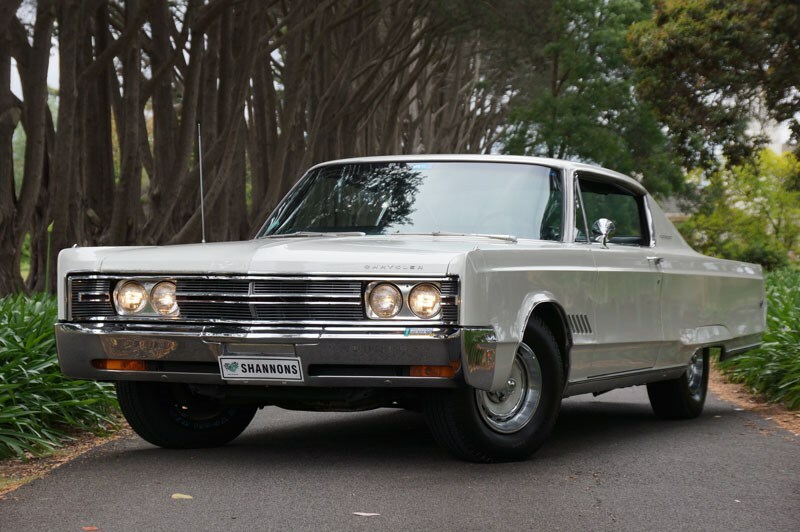 Lot 22, to be sold at the upcoming Shannons Summer Classic Auction in Melbourne, is an unrestored 1968 Chrysler 300 hardtop in its original left-hand drive configuration and features leather upholstery, air conditioning, power steering and a period-correct AM radio. The condition report suggests some timely rust repair and prevention would be worthwhile. This rare 300 comes supplied with the import papers and books, and will be offered for sale unregistered with no reserve. The car is estimated at $16-22,000.